Are you looking for experienced attorneys in Tanzania? 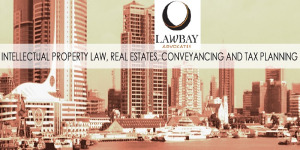 Lawbay Advocates is a registered professional law firm based in Arusha. Our client based expands internationally and locally covering all of regions in Tanzania from Arusha to Dar Es Salaam… We service a broad genre of clients from the private sector, international investors and large domestic corporations. Our dynamic team of lawyers specialize in Corporate Governance, Corporate Mergers & Acquisition Services, Investment, Intellectual Property Law (IP protection), Real Estates, Conveyance and Tax Planning.